Overwatch moves up to second place in sales. 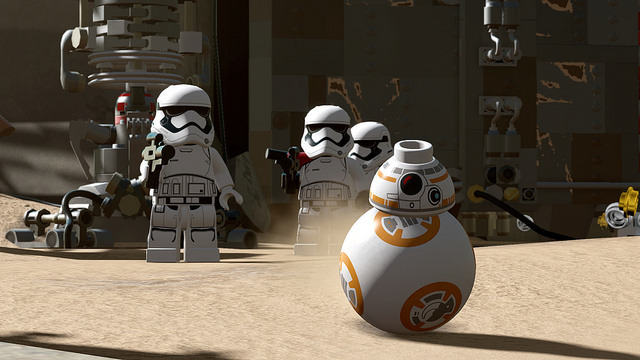 TT Games’ LEGO Star Wars: The Force Awakens remains on top of the UK game charts according to Gfk Chart-Track. It holds this position for the second week in a row, displacing Overwatch in the process. Overwatch’s managed to move up from third to second place with DOOM moving down by one place. FIFA 16 is in fourth place with Rocket League taking its position at fifth. Uncharted 4: A Thief’s End is in sixth place followed by the ever-persistent Grand Theft Auto 5. Meanwhile, Ratchet & Clank moved back into the top ten, going from 11th to eight place. Tom Clancy’s The Division is in ninth place while Call of Duty: Black Ops 3 moved up from 12th to 10th place. Expect many of these releases to stay in their positions given that there aren’t a number of big games coming out in July. What are your thoughts on this week’s top selling UK games? Let us know in the comments.